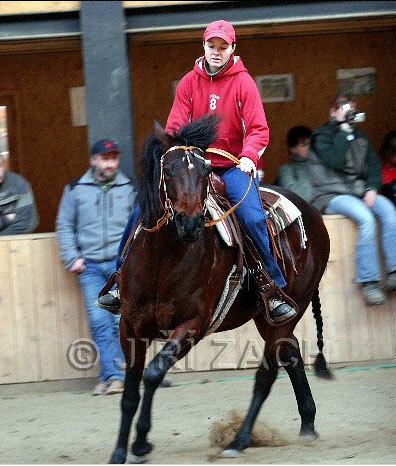 In the end we were with Clea promulgated as General Champion and got fourth cup, Clea made me large joy again. 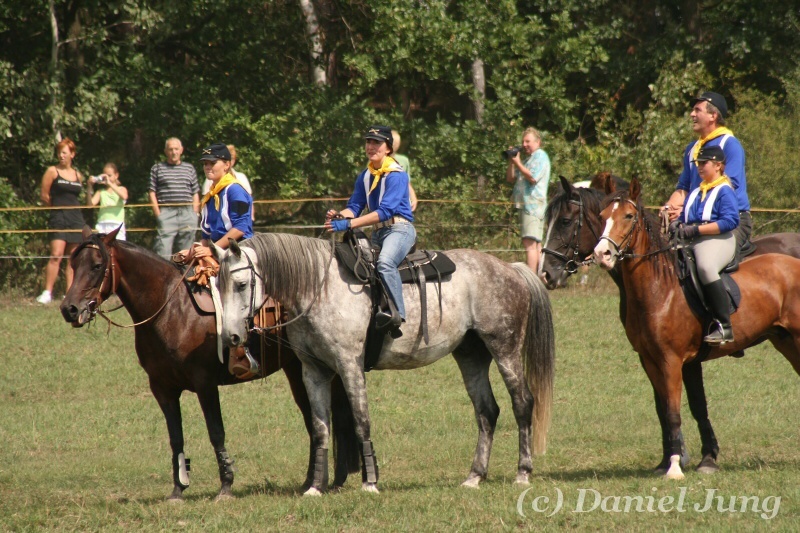 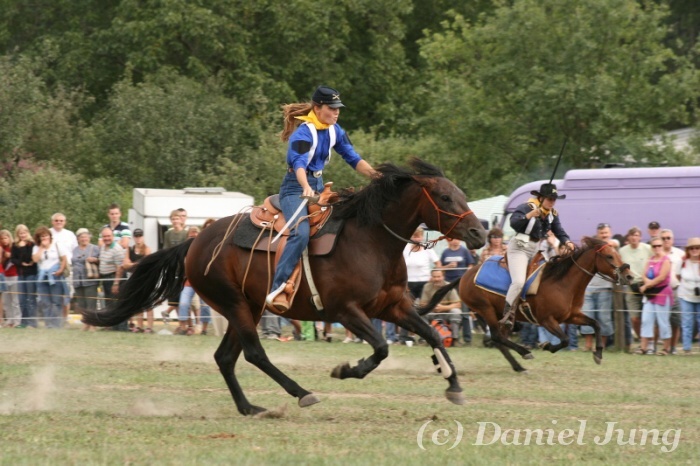 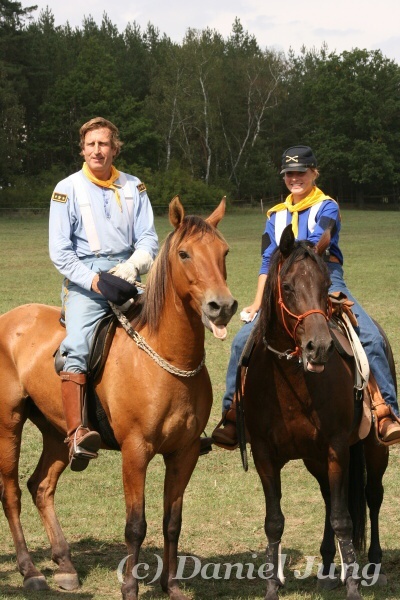 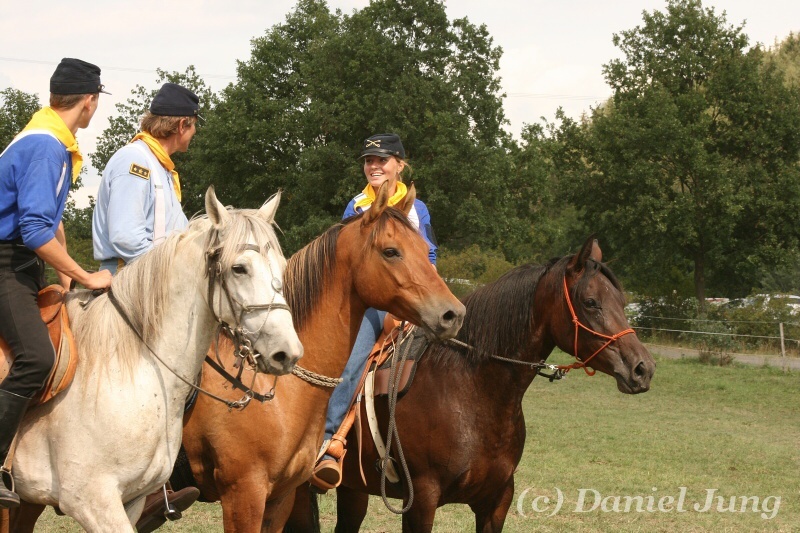 On 30.09.2007 we took part in Western Racing in Zidovice again, newly with Lorann. 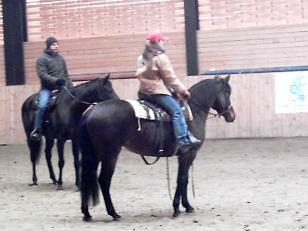 First discipline was Pleasure.. 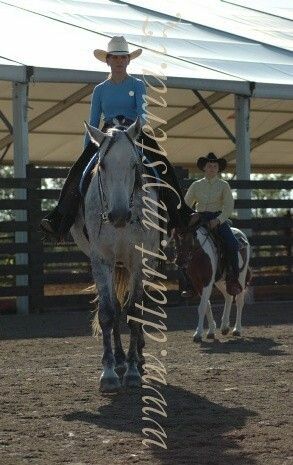 In Horsemanship I was the second. 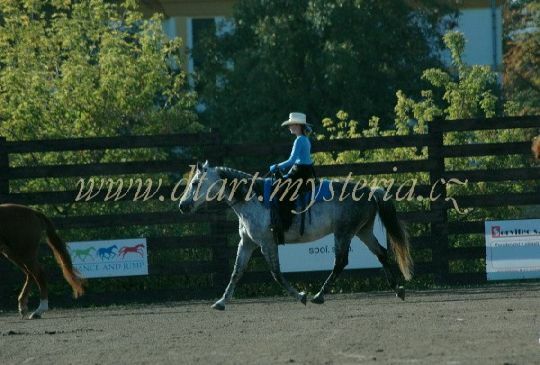 Then Lorann raced Trail for beginners, he done it perfectly.. 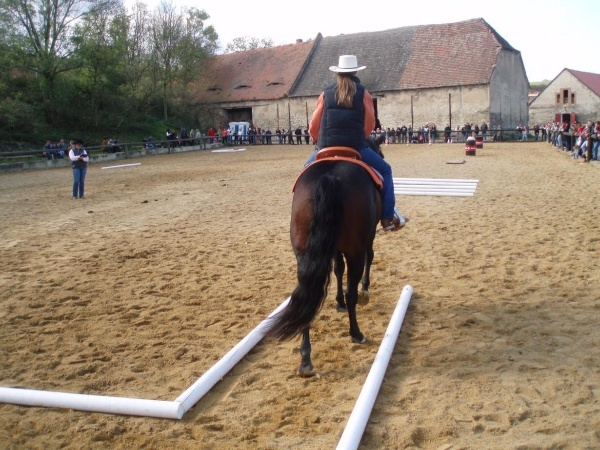 In break time I performed with Clea a common communication on hurdles. 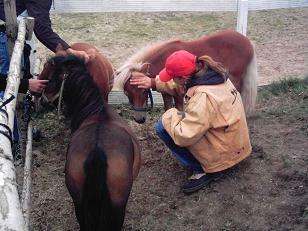 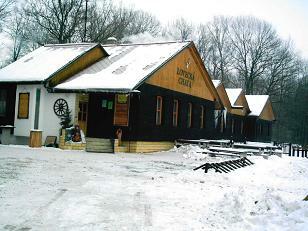 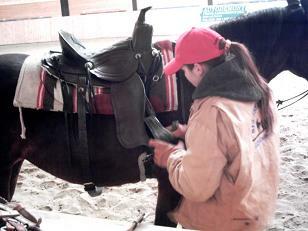 There is our station and the preparation of horses. 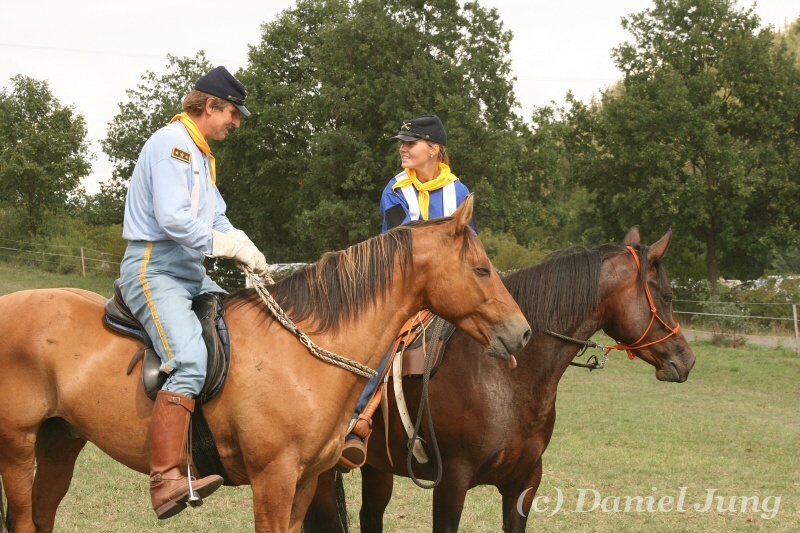 The general /actor/ Vaclav Vydra charged me to a „last round“... for the first time it was a draw, the second time I won. 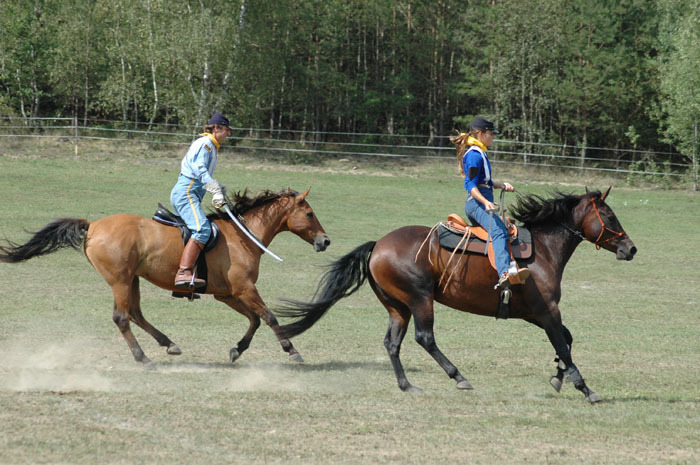 But real winner was the general Vydra for me, because of no using a bridle..
We won the bronze... ..
At last we had speed disciplines - Slalom along cedars (the 2.place) and Barrel racing (the 1.place again...) ..
Then I tried it with Clea and Michelle was correcting me. 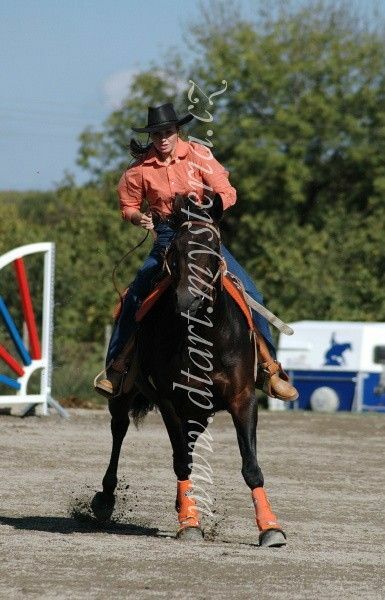 We drilled a kid in the end. 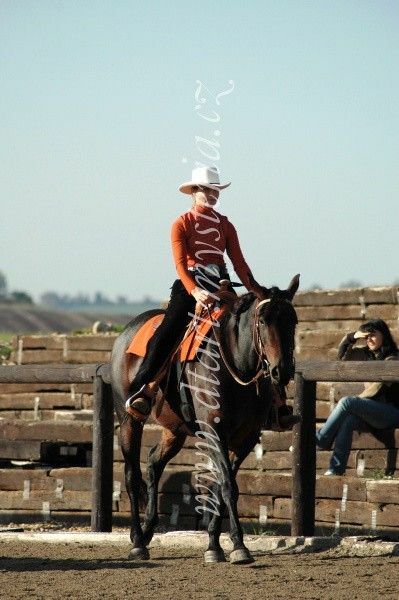 This weekend (1.2. 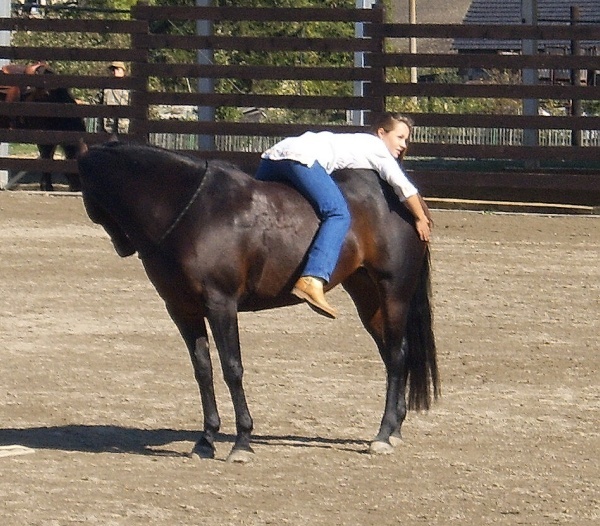 - 4.2. 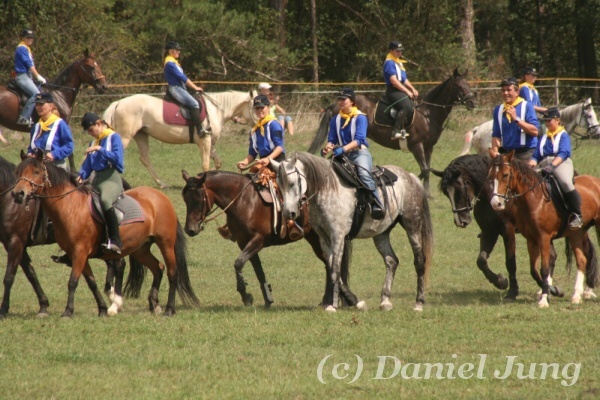 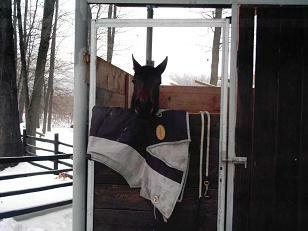 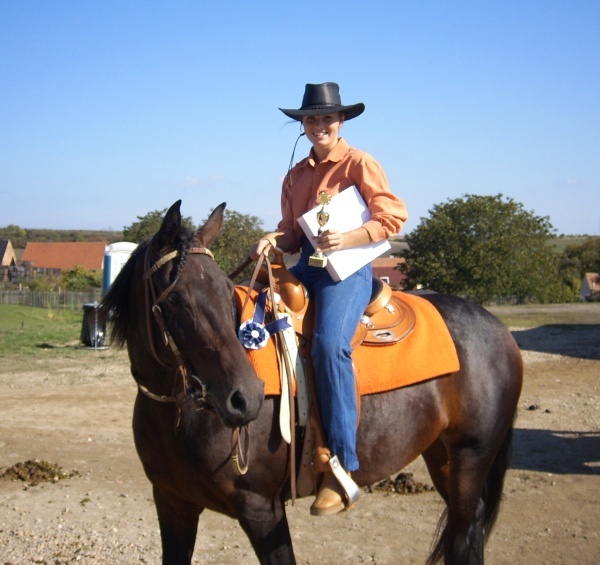 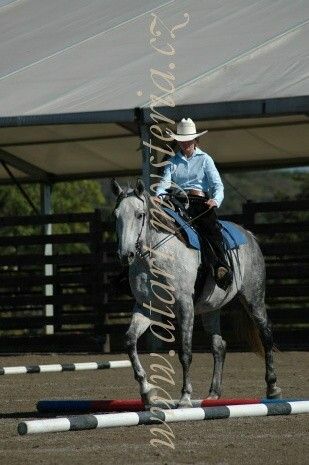 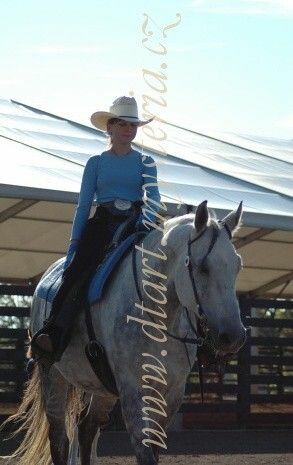 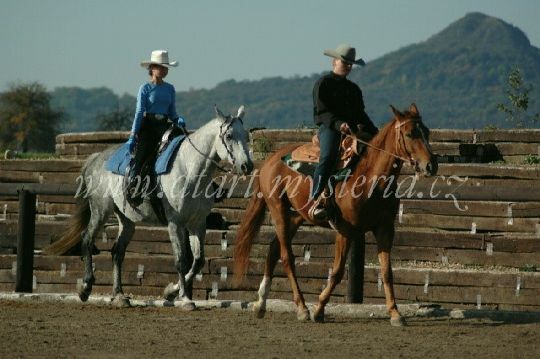 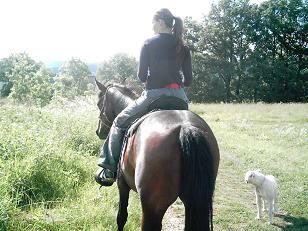 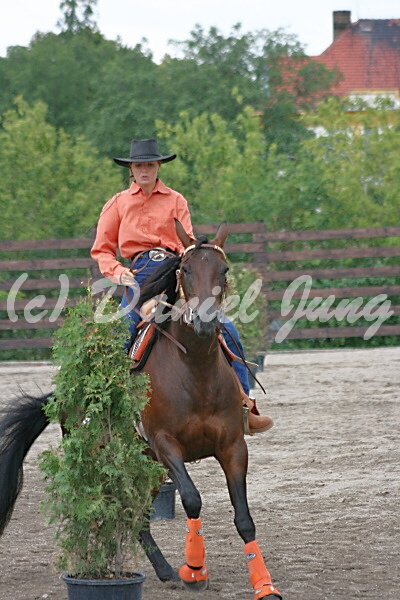 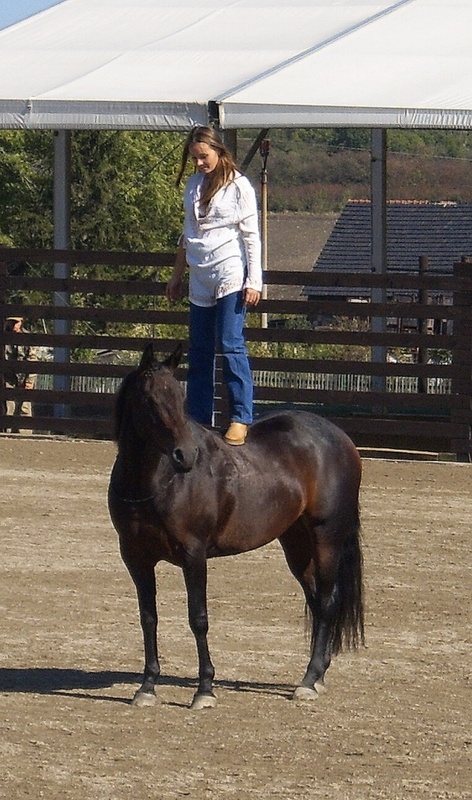 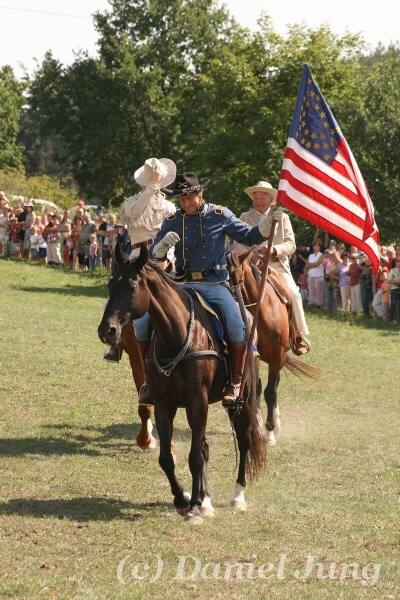 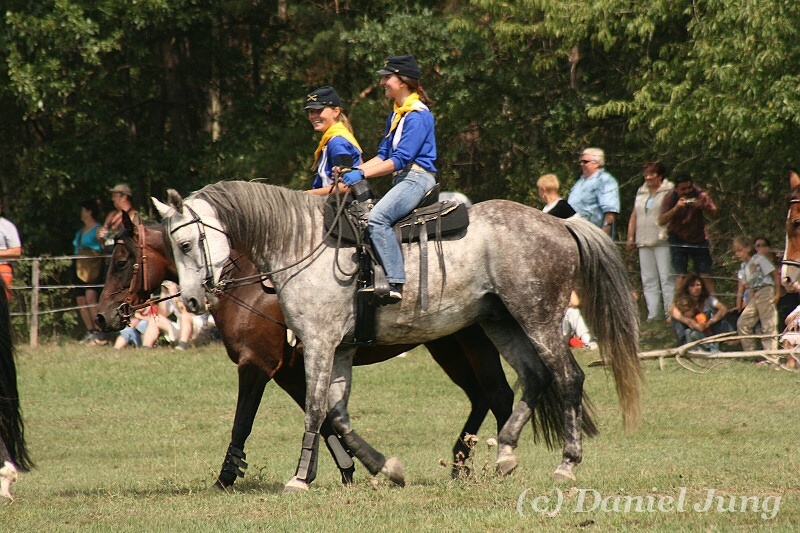 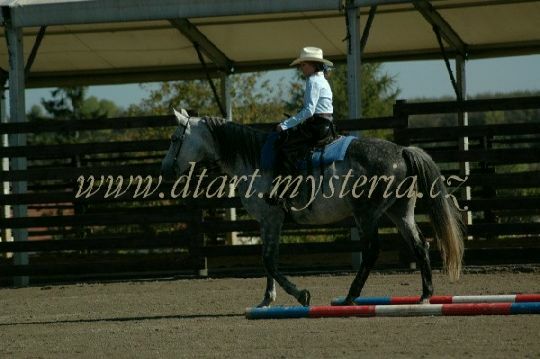 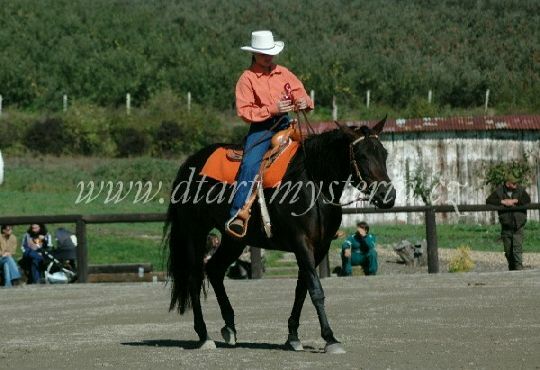 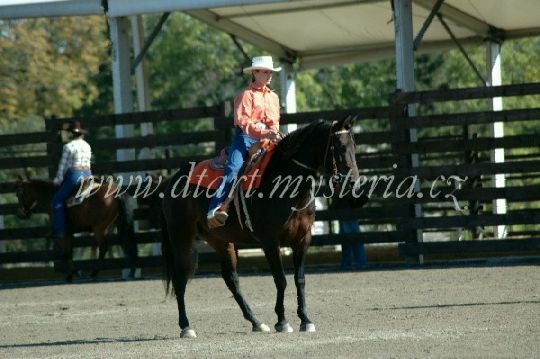 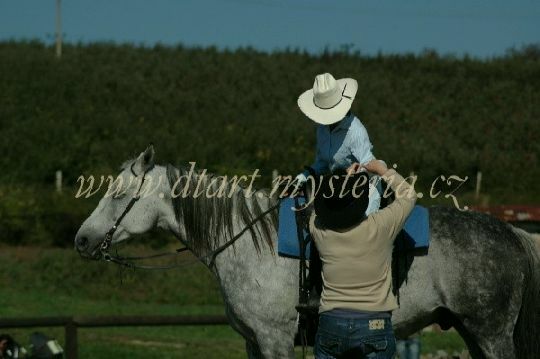 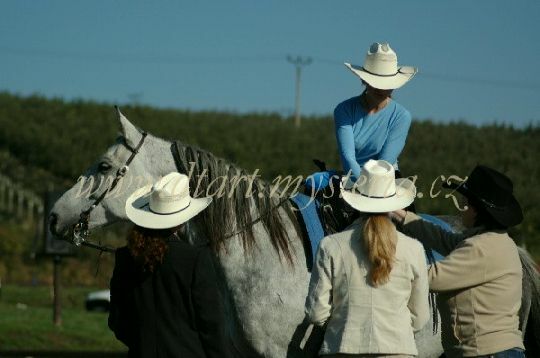 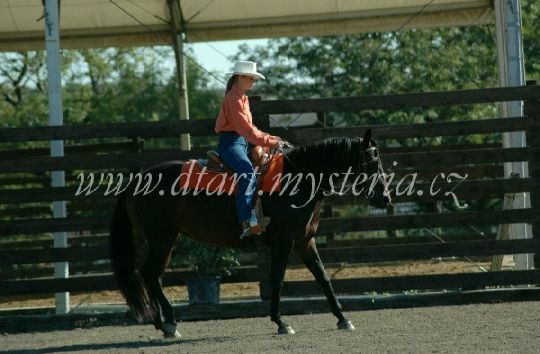 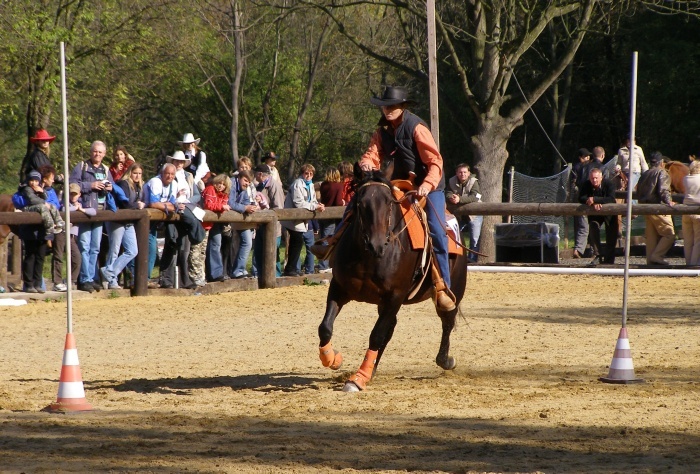 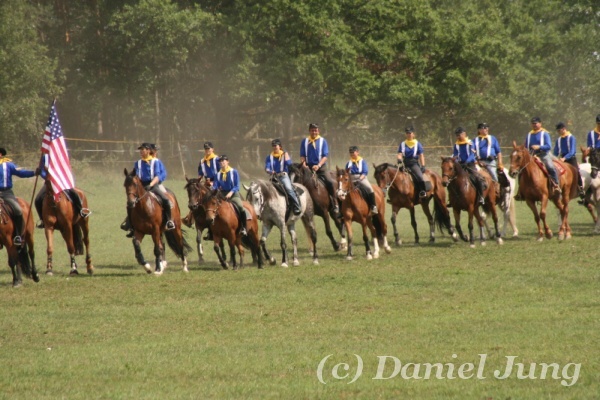 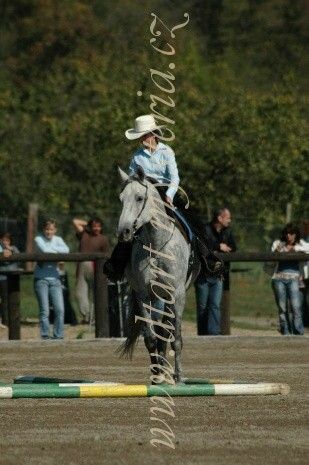 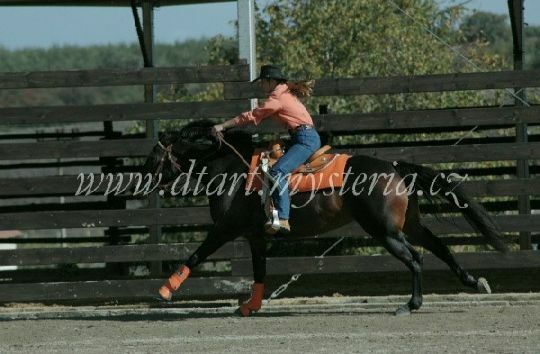 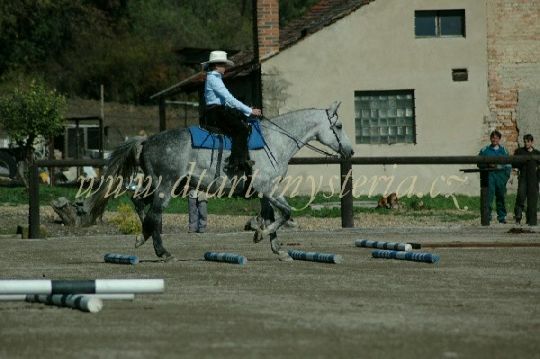 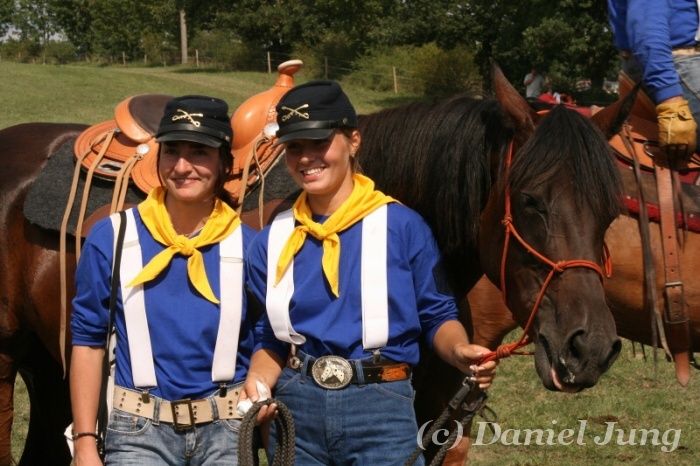 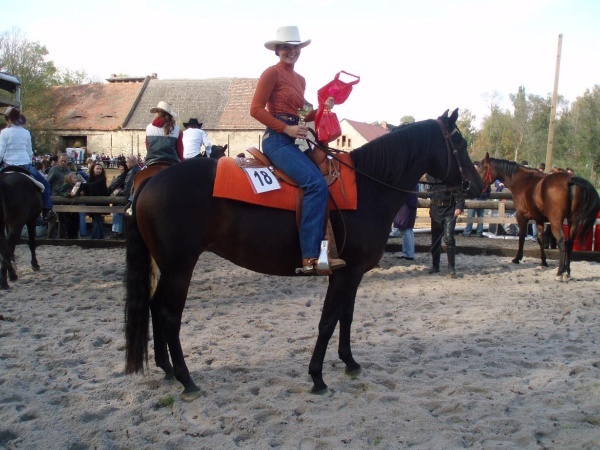 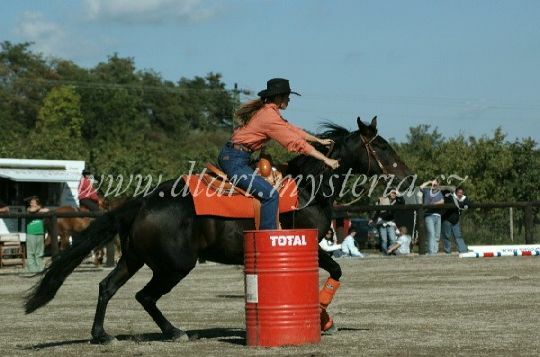 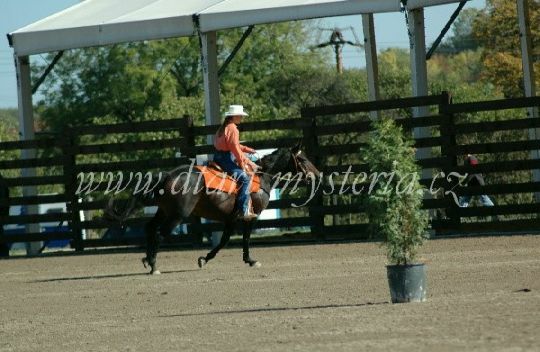 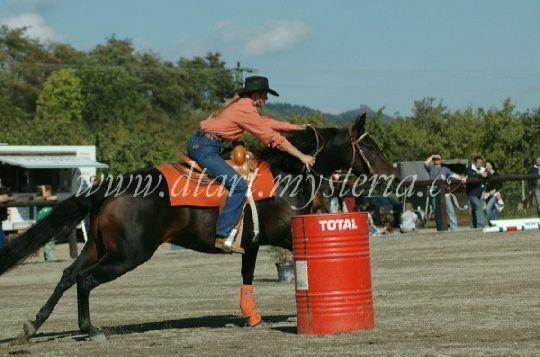 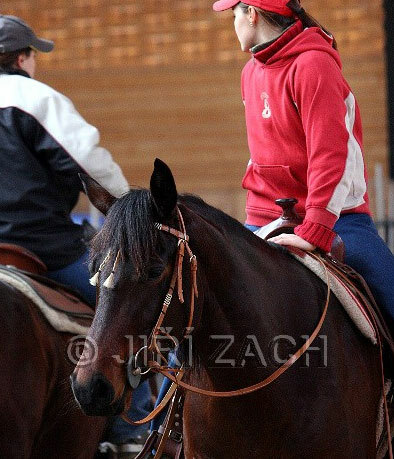 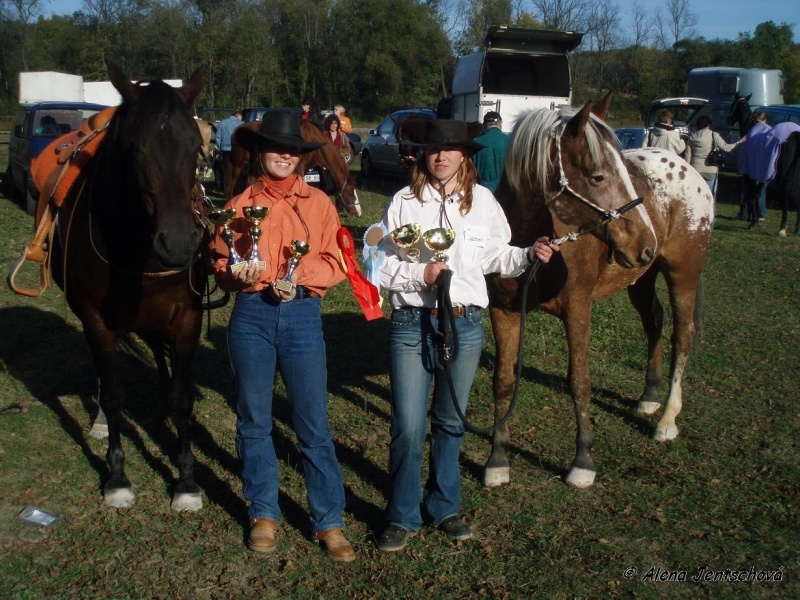 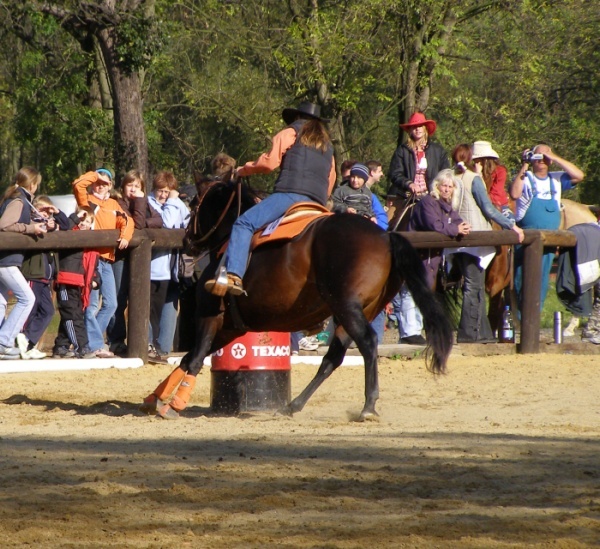 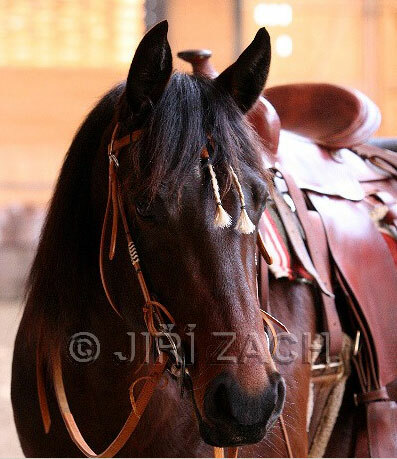 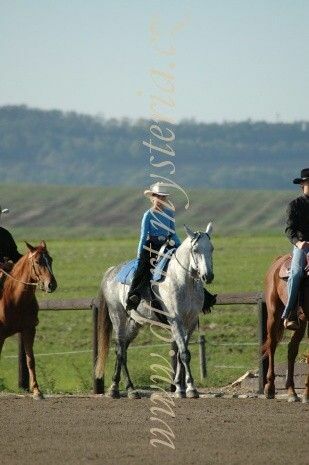 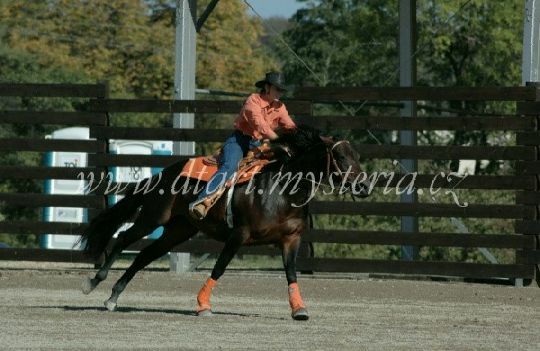 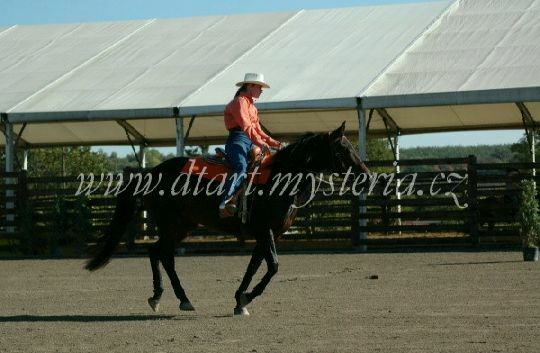 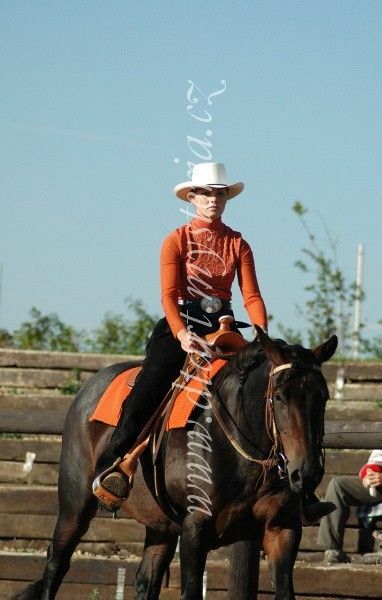 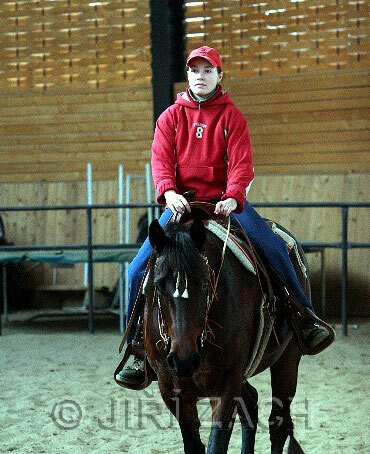 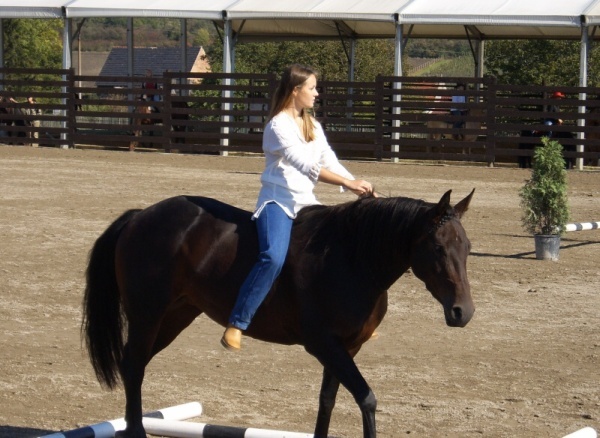 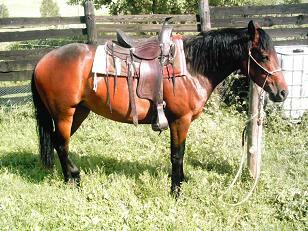 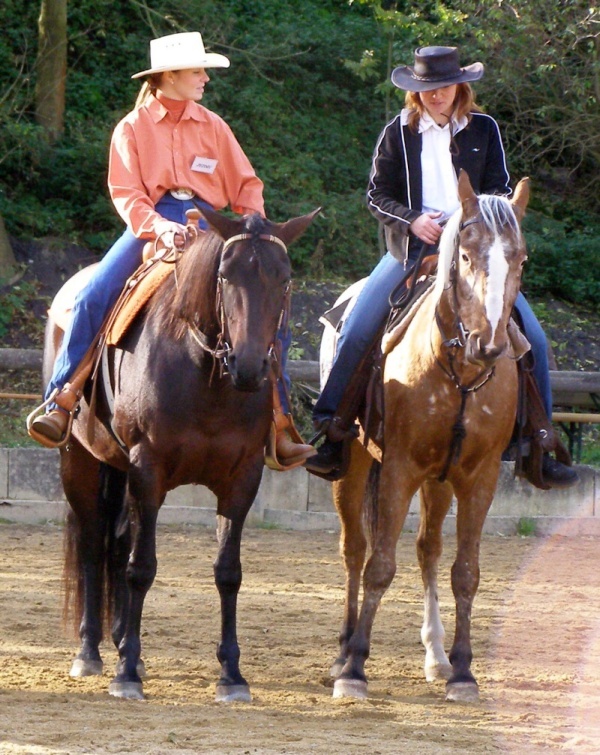 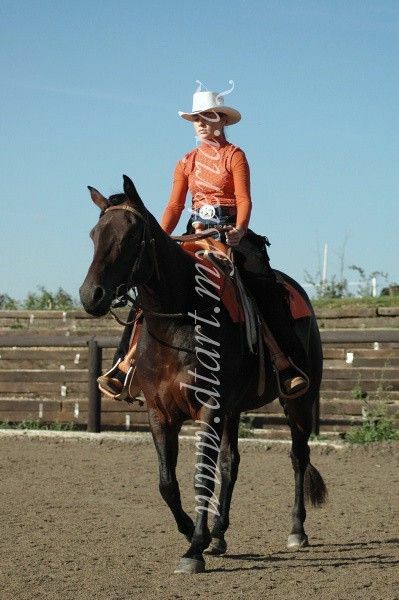 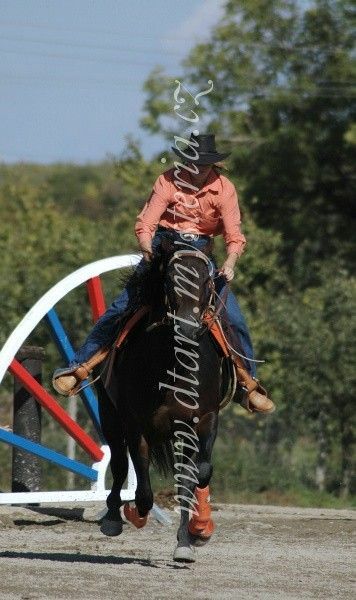 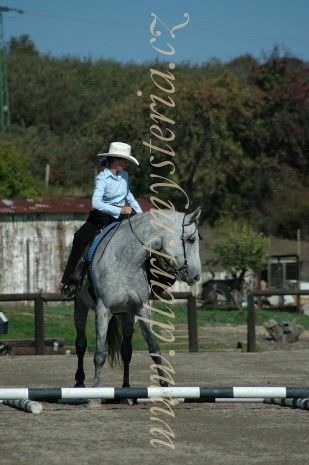 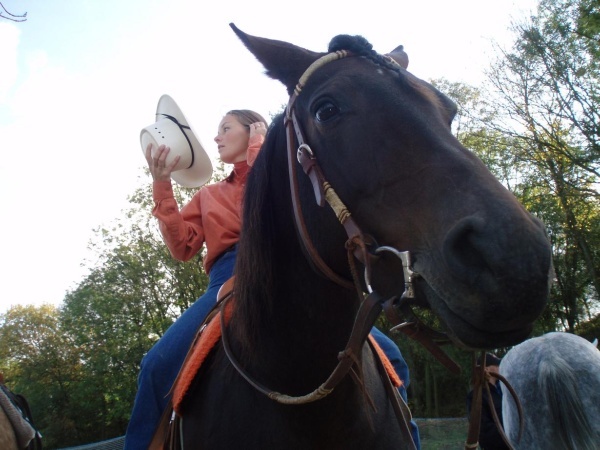 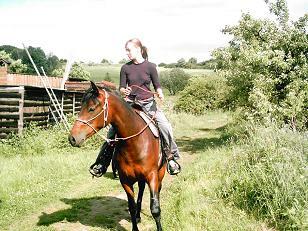 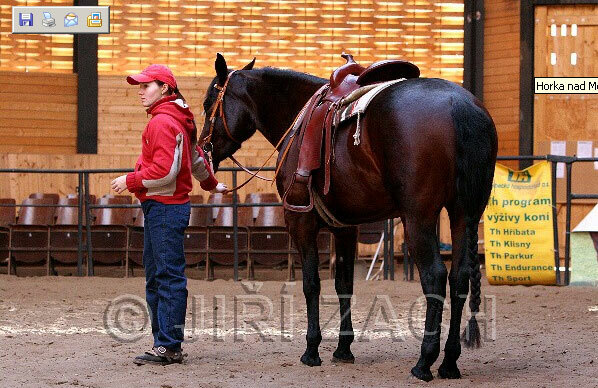 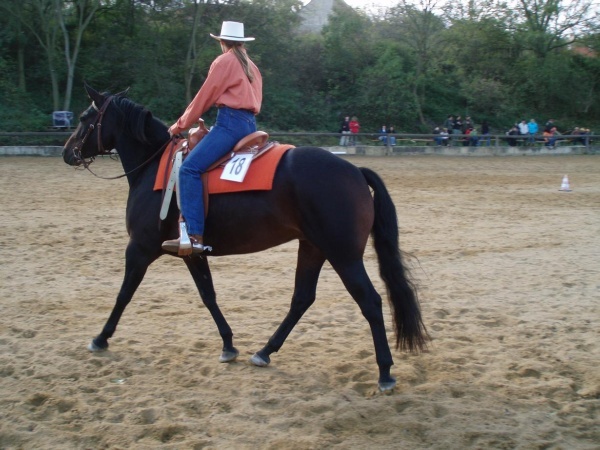 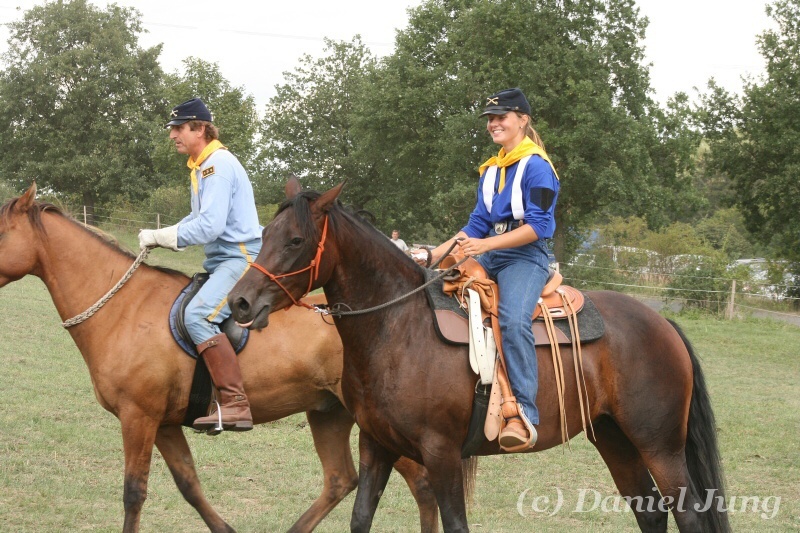 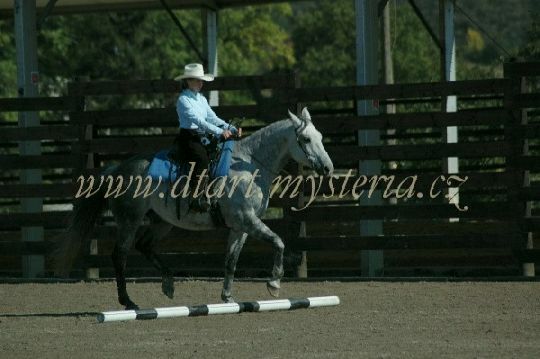 2007) we were on another western course, I prefer reining as last time. 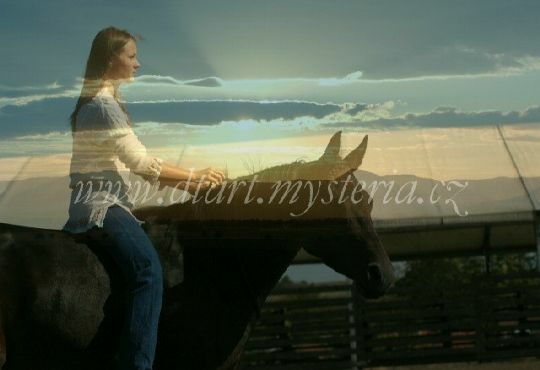 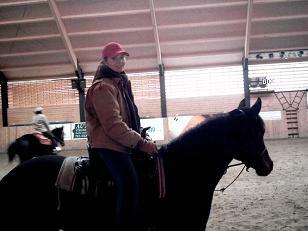 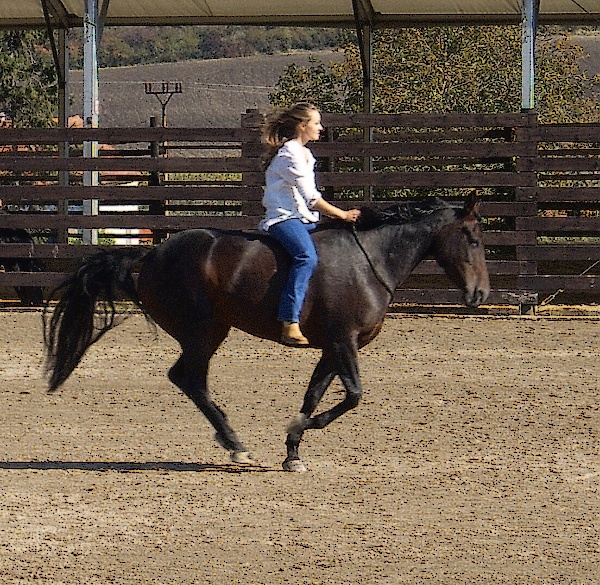 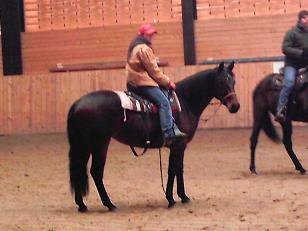 This time it was with Susan Pacesova, her websites who train horses in Austria by Wern Sapergia. 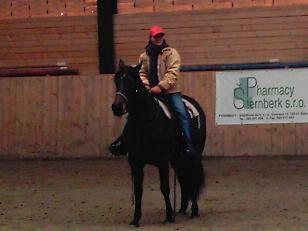 This was the best course we have ever passed, we learned a lot during three days. 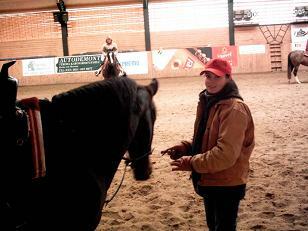 Suzan is great teacher, we are very excited. 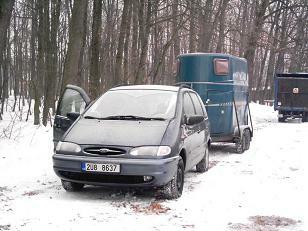 Car and trailer were reliable. 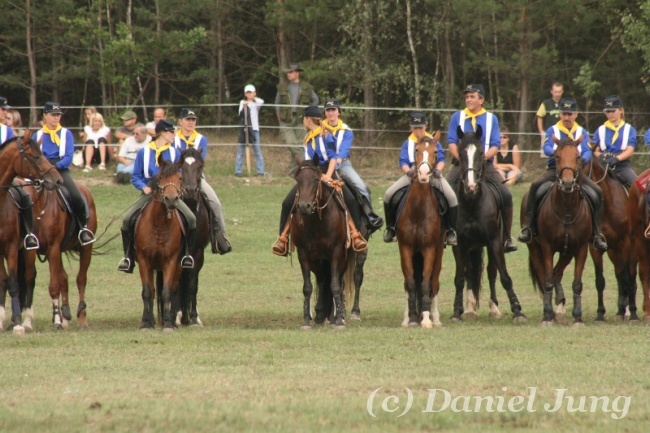 In September 9.9.2006 took place The Cross Country in Fojtovice, but no one knows about it, nor I. 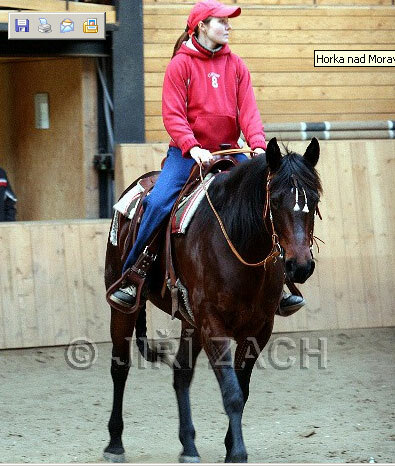 After a half an hour I was fully loaded and drove in Fojtovice. 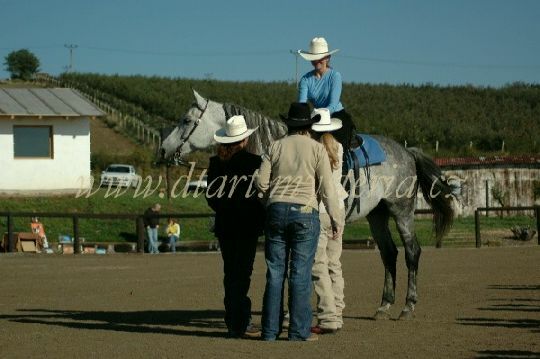 It compensated to us, because we won the 2.place and got the wonderful glass cup and sweets for horses. 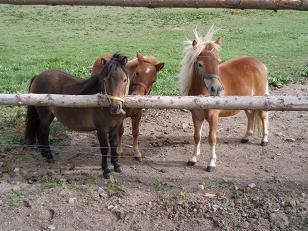 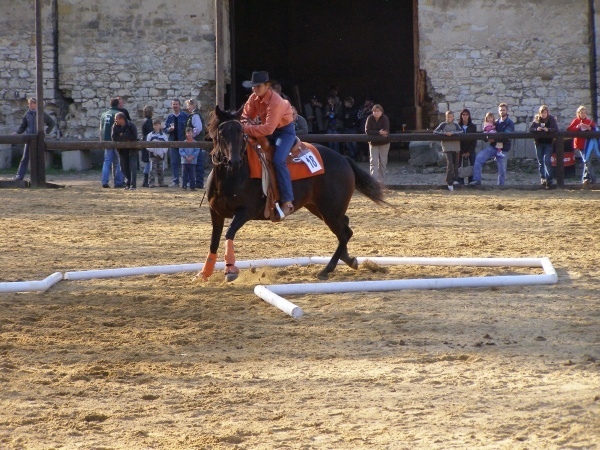 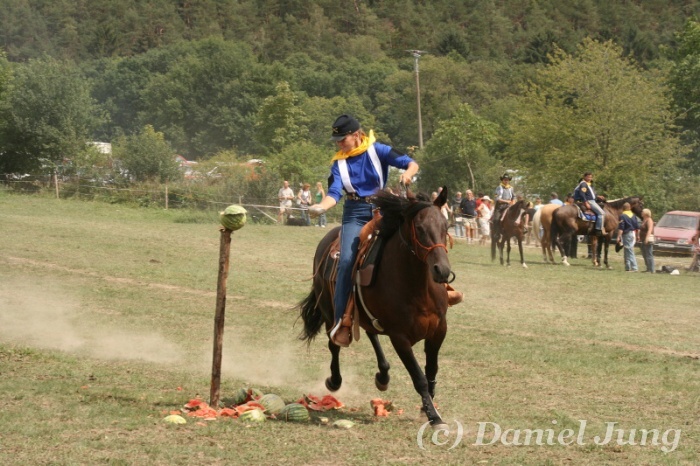 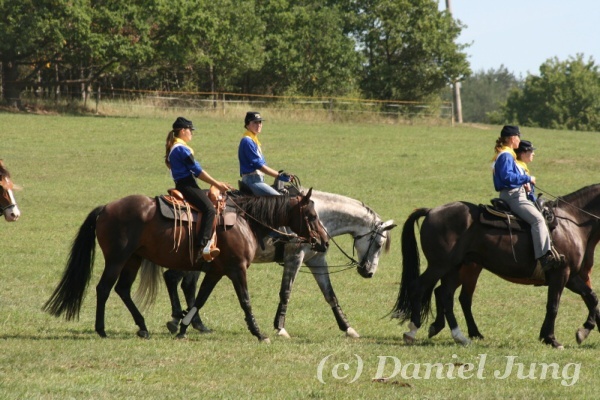 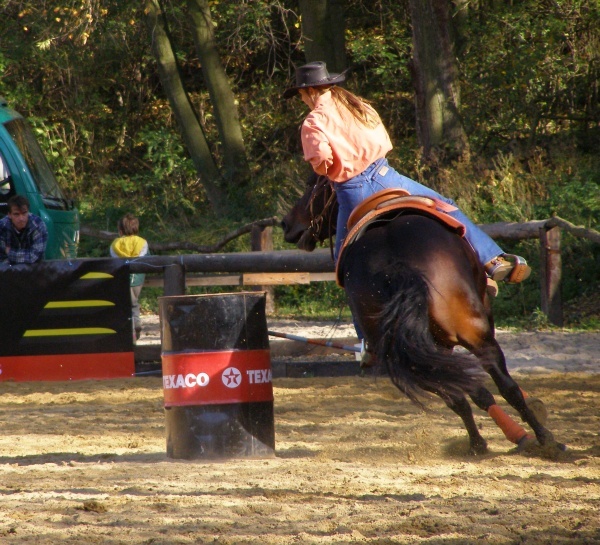 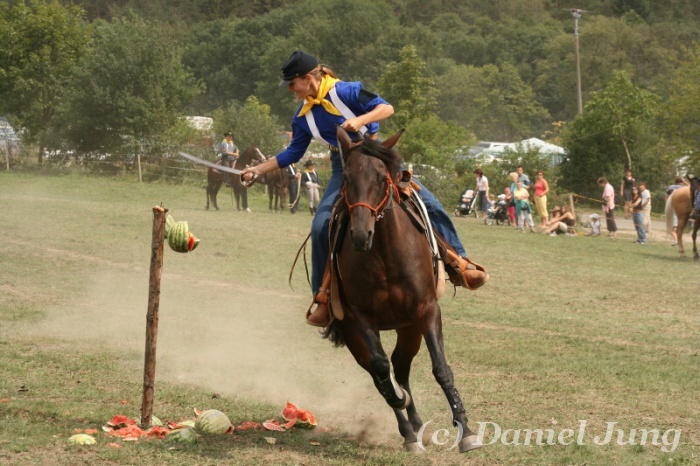 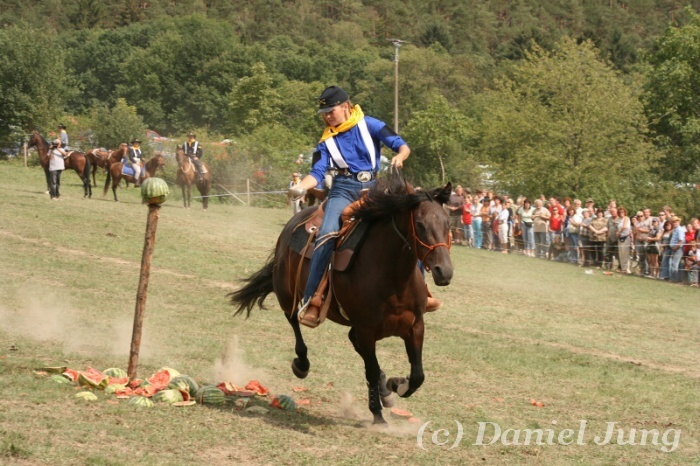 In August we took part in The Horse-play at the Mountain farm Cinovec. 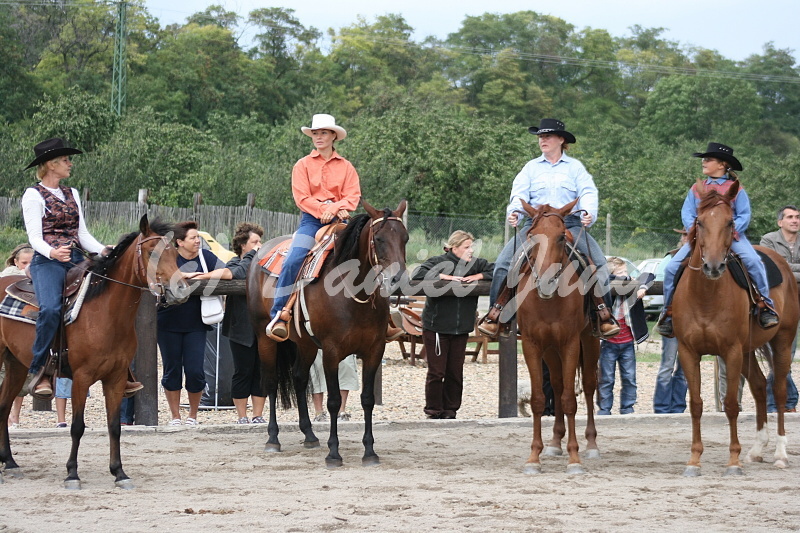 We got valuable experiences again. 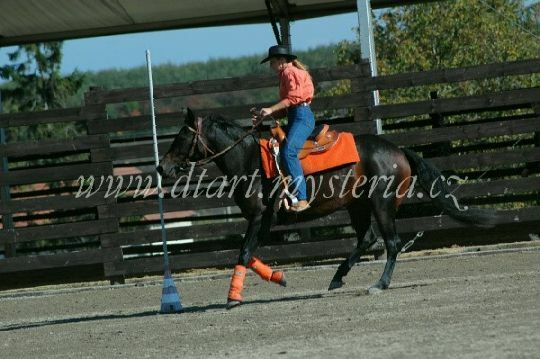 It was our first public race and Clea done perfect- she satisfied me. 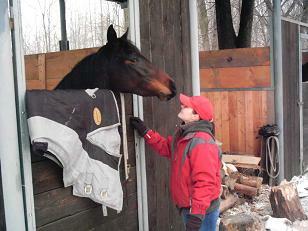 In February we visited the western course with teacher Ester Weberova, in Horky above Moravia. 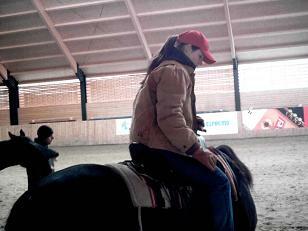 We learned a lot, but not everything.. we were praised for good cooperation despite our young age. 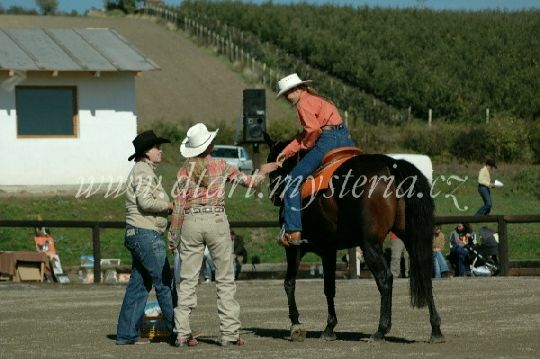 This year she was mounted. 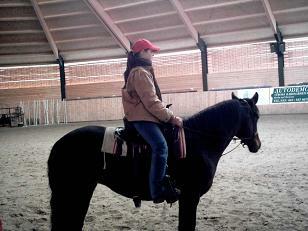 She had the saddle for the first time in her life.